— Daily Freeman-Journal photos by Anne Blankenship Loween Getter examines women’s vintage jacket with a row of buttons and elaborate stitching. Many of the garments in the Jane Young House collection date to the late 1800s. A sign greets visitors as they enter the front hallway of the Jane Young House. 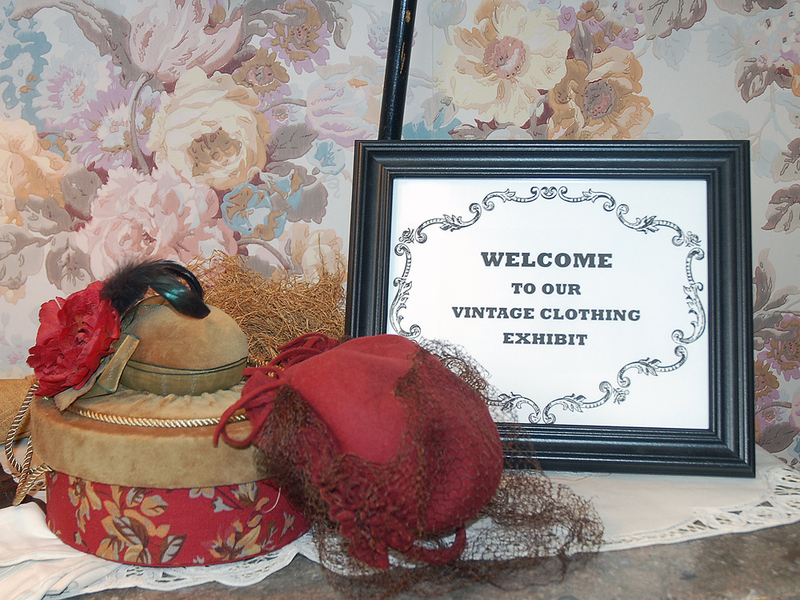 Vintage hats and clothing are on display on the upper level of the home. One of the rooms on display in the vintage clothing exhibit at the Jane Young House features an antique fainting couch. An open house is planned for Feb. 17 to allow area residents to tour the exhibit. 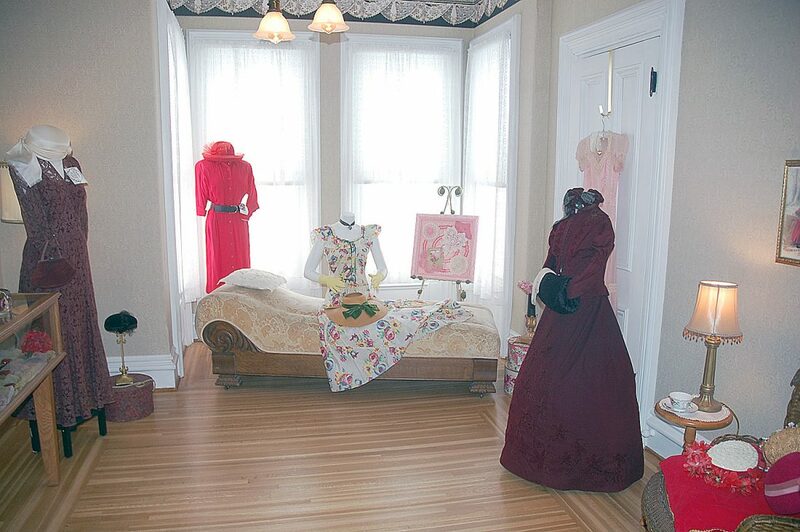 The historic home of a Webster City benefactor will soon offer visitors a glimpse into the past with a vintage clothing display. A few members of the Webster City Women’s Club found racks of vintage and antique clothing stashed in the upstairs rooms of the house. More than 200 hats from many eras were stacked in another room. The collection features fancy dress clothing to simple daytime dresses, petticoats and bloomers, mens suits and tuxedos, hats and shoes. There are even elaborate accessories such as hair combs, jewelry, gloves and other items. The club members started to mull the idea of creating a display of the unique and often elegant garments. They sought advice from people who knew how to care for antique textiles. The women traveled to Iowa State University and met with experts at the Textile and Clothing Museum. “They gave us a lot of background on how to care for some of these fragile garments,” said Loween Getter, another committee member, adding that they picked up several reference books that further explained the care of the clothing. They started collecting wooden hangers which they covered in padding encased with a muslin stockinette to gently hold the delicate fabrics in place for storage. The clothing items, which Getter and Robb said likely were donated by members or the families of members, span nearly a 100 years of fashion history. The oldest pieces, according to labels found on the garments, date to the late 1880s, while some of the newer ensembles were popular in the 1950s and 1960s. Getter said the ISU experts told them controlling the temperature and humidity would be critical if the dream of creating a vintage display was to become a reality. “There was no heat or air conditioning on the upper floor of the Jane Young, so we put mini splits in the upstairs rooms,” according to Getter. Mini-splits are heating and cooling systems that allow temperatures to be controlled in individual rooms or spaces. “Before the mini-splits could be installed, we had to have the electrical system completely updated,” Getter said. “Now we have new outlets and switches, and all of the lights are rewired,” said committee member Darlene Dingman. New shades were also installed in the windows upstairs to keep the harsh sunlight off of the delicate fabrics which at the same time, allow natural light into the rooms. After the heating and air conditioning was installed, it was decided that the upstairs floors needed to be refinished. “We don’t think the floors had been touched since the house was built,” Getter said. Grant money from Hotel/Motel Tax Board and Enhance Hamilton County Foundation provided funds to do the work on the house, according to Getter. In the past few weeks, the women have been busy assembling the displays in the upstairs rooms. Kendall’s Study features an antique desk and typewriter, while the trunk show offers a display of vintage men’s suits, a steamer trunk filled with accessories and some dapper men’s hats. 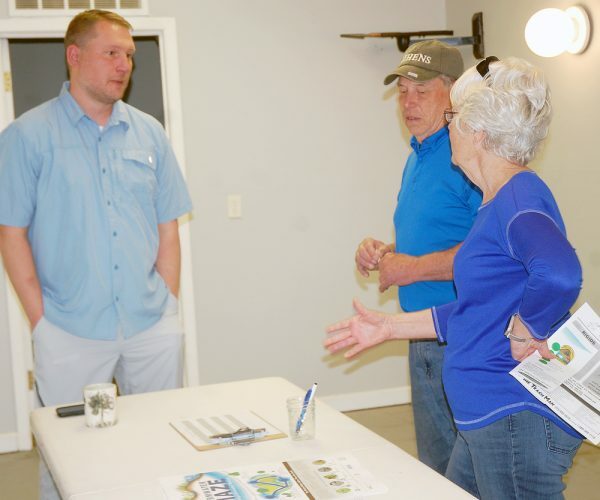 The women said they hope the exhibit will attract tour groups to the community or perhaps those visiting for a class reunion or family reunion. Opportunities to partner with other groups in the community, such as the library or Wilson Brewer Park are also a possibility, they said. In addition to offering a glimpse of fashions from bygone days, the home is a museum of the architecture and décor of the day. Each of the upstairs rooms have been furnished in a manner suitable for a Victorian style home. There’s a vintage fainting couch in one room and another features a delicate china tea set ready to for an afternoon tea party. Guests visiting the exhibit will have a chance to see what it was like to live in a late 1880’s home. The back part of the house was the maid’s quarters. Getter and Robb pointed out the lower ceilings, simpler moldings and muted wall colors. As guests step up into the family’s quarters, they will find higher ceilings, colorful wallpaper and the elaborately carved banister and curved staircase leading to the front hallway. The house was the home of Jane and Kendall Young, early Webster City benefactors. Built in 1873, the home originally set on four lots facing Willson Avenue. The house featured five gables, seven fireplaces — only one of which remains –and 11-foot ceilings. The home was moved in 1904 to make room for the new Kendall Young Library. It was moved to its current location when the library expanded in 1997. A ribbon cutting with the Webster City Chamber of Commerce for the new vintage clothing display will be held Thursday, Feb. 14 at 9 a.m. 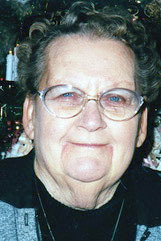 The pubic is invited to tour the exhibit on Sunday, Feb. 17 when the Women’s Club holds an open house. The event will be from 1 to 3 p.m.